The role may be your dream job, but if the culture isn’t right, you’ll be job hunting sooner than you may have expected. ‘Culture fit’ may have become a hiring buzzword of late, but it’s as much a concern for the employer, as it is for an employee. After all, we often spend more time at work than with our loved ones, so it’s more important than ever that the 9 to 5 or whatever hours you work are enjoyable. Plus, a working environment and culture that is mutually beneficial for employee and employer are likely to improve staff happiness and productivity, improving retention rates and the bottom line. But when both parties are on their best behaviour in the interview process, it can be hard to assess just what the culture of a company is like. Here’s how to find out if the company culture is for you. Just like most things, if you want to learn more about something then you need to do your research. Now, trying to learn more about a company’s culture isn’t going to be easy, as unless you’re inside the four office walls, but you can still glean some insights into the inner workings of the business with a little research. Social media is one of the best tools to use to get an insight into company culture and find out more about the employee experience. An employer is likely to check out your social profiles, and you should be doing the same to them. Is their Twitter feed full of promotional tweets? Or are there mentions of events they are attending and speaking at? Can you see any photos of company BBQs or social events? Do staff have their own professional profiles? – If so, take a moment to look at their profiles too. Staff profiles are likely to give good insight into working life at the company, and if you are feeling brave, you could even seek out past employees on LinkedIn and ask them a few questions about the culture too. Re-read the job description too, as this is likely to have given some information regarding the company culture. Do the benefits of the jobs mention a standard holiday package and pension plan, or are their perks detailed such as flexible working, company lunches, unlimited holiday, a relaxed office environment? On the website are their detailed meet the team pages or just an about us page instead? A meet the team page indicates the value that employers have invested in their employees and sharing their backgrounds and successes, while a generic about us page indicates that the company is faceless. Do they have a blog? Is this regularly updated with industry content? If so, you can tell that the business is invested in developing its employees and them sharing their knowledge. If you’ve arrived for your interview early and are waiting in a reception area or meeting room, don’t just sit there nervously looking at your lap – make the most of that time to check out the office environment. Is it quiet and uncomfortable? Or are employees chatting comfortably in a relaxed, friendly and open atmosphere? Is the office open plan? Or if there are separate offices are doors and blinds open, or are they closed off from the rest of the office? If there is a receptionist, have they been friendly on your arrival? Do staff seem helpful to one another? When it comes to décor, is it drab and uninspiring with a long bank of desks? Or are their breakout areas where employees can work in different places around the office? Can you see any evidence of lunchtime or downtime activities such as books to read or games to play? When you go to interview, it’s important to remember that it’s as much about an employer assessing your suitability for the role, as you are evaluating whether this is the role – and culture – for you. If you don’t ask, you don’t get. And while you may need to toe the line during the interview and ask questions in a well-thought manner, you can still ask questions about the company culture, without it coming across that you’re only in it for fun. When have you felt most proud to work at the company? What does the office look like day to day? What was the last project the team worked on as a whole? Ideally, you want to find out more about the working environment of the company and whether there is a culture that has a supportive team effort, where employees enjoy coming to work. 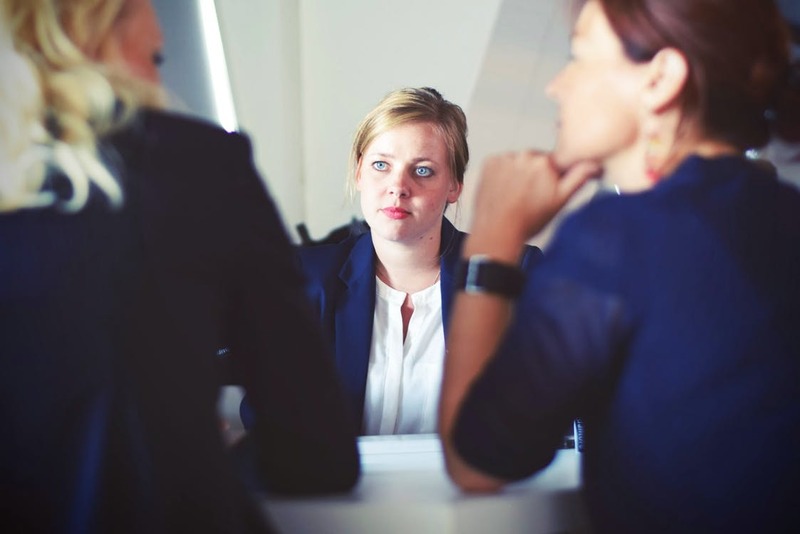 You also want to gain an understanding of whether your interviewers enjoy working at the company – of course, they are likely to say yes, but if there is a hint of hesitation then it may be worth keeping this in mind. Is it the culture for you? After all of this research, it’s time to evaluate if the culture is right for you. What kind of working environment do you work in best? Do you enjoy a quiet pace? Or do you thrive in a fast-paced, busy office? Do you want an assigned desk space? Or are you more comfortable being able to pick and choose which area in the office you work from? Do you like to be suited and booted? Or is a relaxed dress code more your style? How do you like to be motivated? Have you seen any evidence that your professional needs will be met at the company, and that you’ll be encouraged and put on a development path? Does the company fit in with your lifestyle? Do the working hours mean that you can have a good work/life balance? Is there a canteen where you can have lunch? Or a separate lunch space you can eat something homemade rather than at your desk? Are there healthy snacks on offer? Regular company lunches? Does the office have regular days out or activities? Assessing the company culture is essential in your job search, as culture fit is likely to be just as important to an employer as is your suitability to do the role you have applied for. Equally, you need to be sure about how you’ll fit in at the company and if it’s an environment that you can see yourself enjoying, thriving in and progressing in.